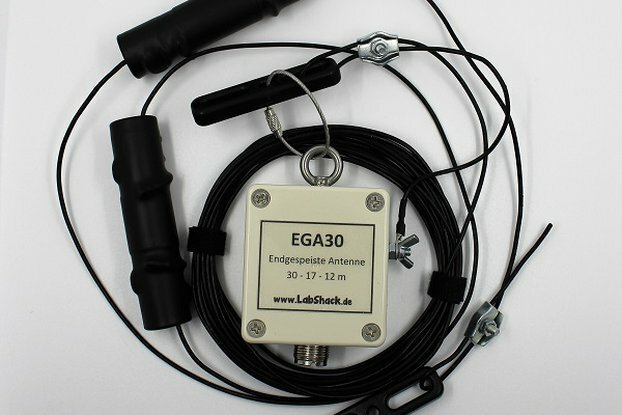 End-Fed Amateur Radio Antenna "EGA40" or "EGA40LV"
The EGA40 / EGA40LV antenna is an easy to handle end-fed antenna for QRP usage. 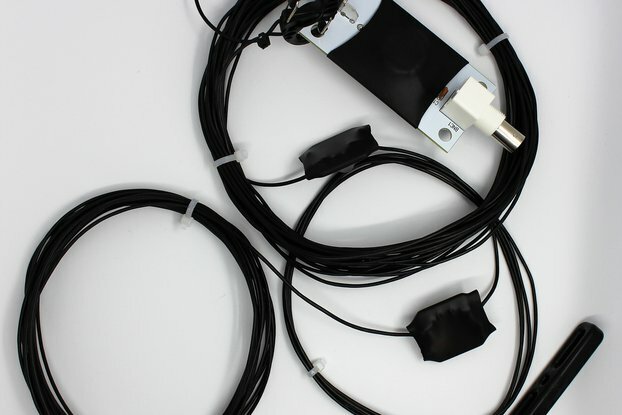 This resonant antenna covers 3 bands, from 40m to 10m, without the need for a tuner on 40/20/10m. (For 17/12m an ATU is often required, depending on influences). 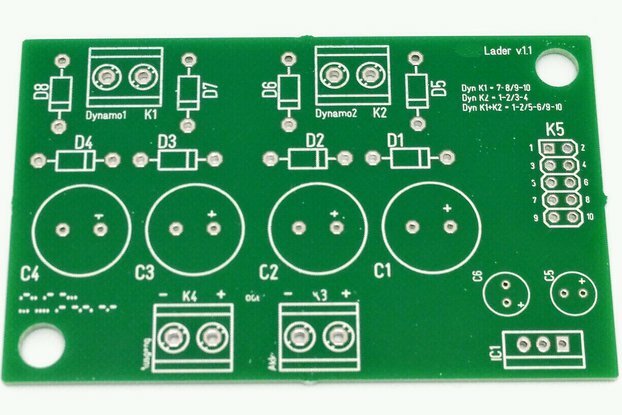 Many small QRP Transceivers don't have an antenna tuner built in. 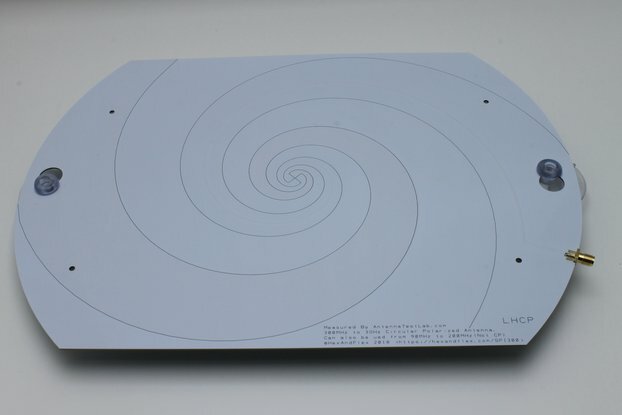 In this case the EGA40 / EGA40LV antenna is a perfect match and the handling is straight-forward. Being mostly insensitive for environmental influences is the big advantage of such a resonant end-fed antenna. 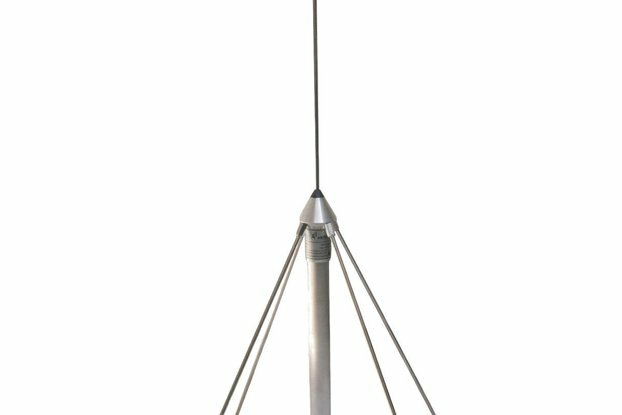 Radials are not necessary and with a length of 11,9m (39ft) it allows easy-handling even when there is little space available. 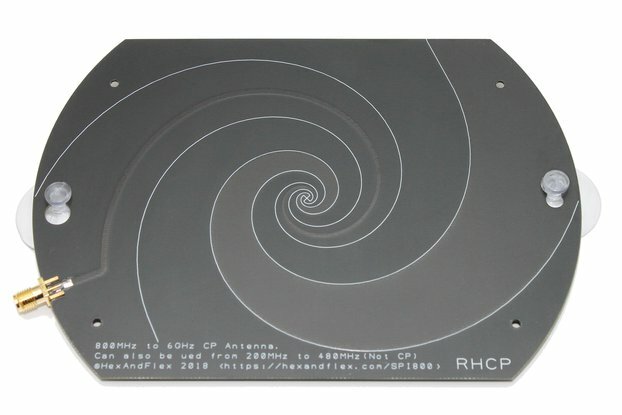 This antenna comes pre-tuned and should not need further adjustment. However, if the spot where it is mounted forces adjustment, the necessary steps are described in the manual. With proper mounting no antenna tuner is needed. 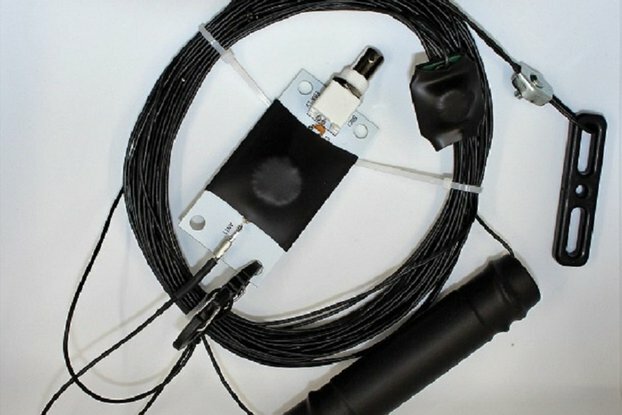 If needed an antenna tuner can match this antenna if it is not well-adjusted or mounted in less than perfect environments. 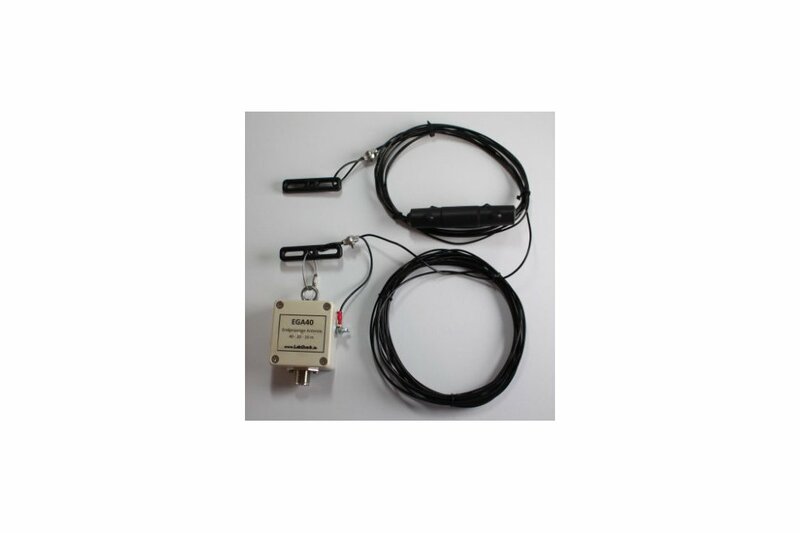 The Standard Version is the perfect antenna for operating a temporary covered or stealth ham radio station in your backyard or attic. It is build with a waterproof plastic box and weighs about 300g. The "LV" (Light-Version") is optimized for trail-friendly weight of 140g. Due to the trail-friendly buildup the "LV" model is not rainproof but optimzed for SOTA, WWFF, Camping, Hiking, Trekking.